No longer scared of the president's attacks on Twitter, companies are publicly breaking with Donald Trump over his remarks after last weekend's events in Charlottesville, Virginia. Corporate communications experts are cheering them on. Major corporations once feared a tweet from Donald Trump. They worried the president of the United States would shame them or characterize them as "anti-American." That apprehension was initially justified. Studies showed his tweets about the likes of General Motors and Boeing caused a reversal in online sentiment from mostly positive to overwhelmingly negative. They also caused a significant short-term hit to a company’s share price. Defense contractor Lockheed Martin saw its valuation drop by almost $4 billion in December 2016 when Trump, then president-elect, criticized the company. But no longer. There is no going back for the uneasy alliance between the Trump administration and corporate America, which had been trying to play nice with the president--or at least stay out of his crosshairs--says Levick CEO Richard Levick. "CEOs have realized that the president’s tweets are no longer a threat. The benefit for those companies that left and have stood up against him is that they look like a leader," he says. "Look at Intel, look at Under Armour--those brands are getting boosted by their courage." This week, the leaders of Intel, Under Armour, Merck, and the Alliance for American Manufacturing all defected from one of the president’s two economic advisory councils over Trump’s comments that indicated sympathy for white supremacists who demonstrated in Charlottesville, Virginia, last weekend. One woman died after a car rammed into a group of counter-protesters on Saturday. As business leaders began to withdraw, Trump tried to bully those remaining from following suit. "For every CEO that drops out of the manufacturing council, I have many to take their place. Grandstanders should not have gone on," he tweeted on Tuesday. He also tried to shame Merck CEO Kenneth Frazier after he left the council, lashing out at the pharmaceutical company’s prices and claiming it doesn’t employ enough Americans. It didn’t stop the two councils from disbanding. 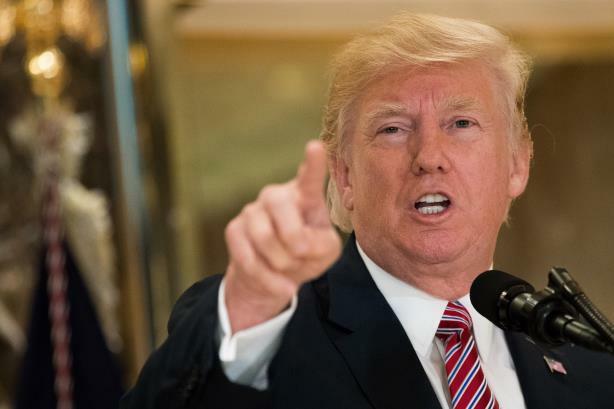 The final straw for business leaders was Trump’s Tuesday news conference, in which he blamed "both sides" for the violence, doubling down on his initial comments. Business leaders reportedly felt they had no choice but to defect, even though Trump tried to make it look like he had pulled the plug on the councils. But what about those companies that dragged their feet? Among those is Johnson & Johnson. While its CEO Alex Gorsky put out a statement on Monday denouncing "intolerance, racism, and violence," corporate comms pros say the company will be remembered for standing behind the president. "[The company said it] felt an obligation to represent the country and stick with him," says Levick. "But then Tuesday comes and the president drops his whistle for a bullhorn and then suddenly Johnson & Johnson has a whole new wave of negativity to deal with." The brands that stood by Trump failed to see how the situation could escalate, despite having a commander-in-chief who gives new meaning to the phrase "loose cannon," he adds. "Any executive who decides to continue to stay close to this president risks not only their shares today, but the legacy of their company for the future," says Levick. "When Trump was first elected, we counselled our clients to genuflect to the president. Now we are telling clients with all certainty you must leave any association." "This is a moment in history when we have to understand what is at risk for this country and put principle above profit," he counsels. There’s a new corporate playbook for standing up to Trump. Corporate communications pros point to the statements made by Merck’s Frazier and Under Armour CEO Kevin Plank as sincere, articulate, and smart not to mention Trump by name. "I love our country and our company and will continue to focus my efforts on inspiring every person that they can do anything through the power of sport which promotes unity, diversity and inclusion," Plank wrote in a statement posted on Under Armour’s Twitter account. Golin co-CEO Gary Rudnick says the right move in standing up against anyone, even if it’s the president, is to reaffirm what you believe in. "When involved with organizations or initiatives that don’t align with those important elements of their DNA, we advise our clients to not only extricate themselves from the partnership, organization, or sponsorship, but to also reiterate their values and mission to the public and their employees in tandem," says Rudnick. "It reinforces what they believe in and what they stand for." Other communications experts say it’s time for business leaders to step up even more. "We live in a time when the public has been coaxed by cynics to lose faith in every institution," says Peter Prodromou, president and CEO of Racepoint Global. "Businesses have an opportunity to step into that void and be a force for good." Meanwhile, entertainers such as Jimmy Kimmel and Seth Meyers have been calling Trump unfit for the presidency and his actions as un-American. "Celebrities are often criticized for taking ‘liberal positions’ on these issues. Yet they have the courage to put their own individual brands and careers at risk," says Prodromou. "Businesses should feel the same courage." Where can they find that courage? Tanya Meck, partner and MD at Global Strategy Group, says it should come from customers, employers, investors, vendors, and everyone the company represents. "If there is no direct connection to Trump, you have a little more time to be planful in your approach. Listen to your stakeholders. What are your employees saying? Your customers? Your investors? Your peers and competitors? Are they looking for the company to take a public stance?" she advises. "Listening is key right now."